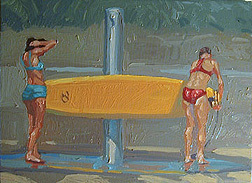 Kevin a Short is an internationally known and collected painter. His bold approach to capturing life's little moments has put him at the forefront of the modern impressionist movement in America. He has won numerous prestigious awards; best of shows, awards of excellence, and first places. 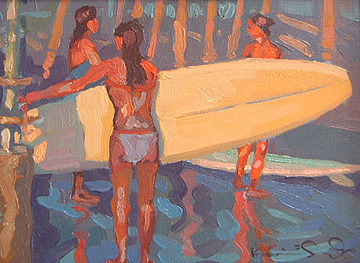 He was featured as the cover artist for the Surfer's Journal. 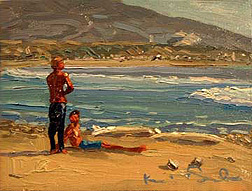 The cover of the Los Angeles Times, Southwest Art Magazine has featured his work in many issues, and numerous times called Kevin's one man exhibitions as "Best of the West". 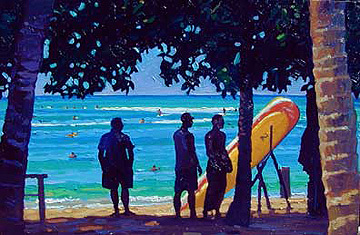 He has been the featured artist for national publications and journals, and has authored "Painting Landscapes In Oils" and "The Art of Oil Painting" for Walter Foster Publishing. 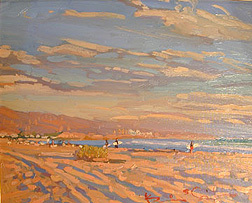 He was recently listed as one of the top 50 living landscape painters in the country. Kevin was raised along California's coast. Born in San Diego, and raised in Santa Barbara, his love for the ocean began through sailing, fishing, and spending long days in the surf. 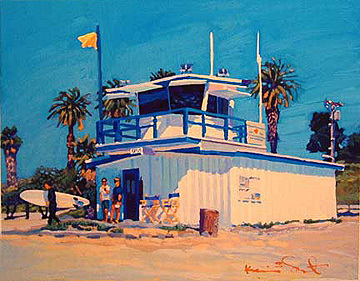 Kevin began his art training with a toy watercolor set and a pile of crayons; drawing on the kitchen floor with his brother and sisters in the once little town of Goleta. 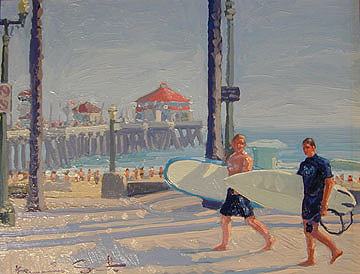 Years later his studies formalized with oil painting at the University of New Mexico, and Pepperdine University in Malibu. 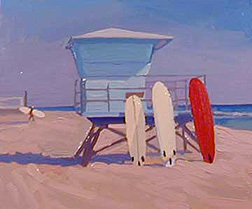 He further distinguished himself by graduating with honors from the Art Center College of Design in Pasadena. 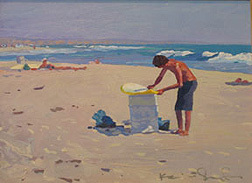 Kevin is a ranking member of the California Art Club. 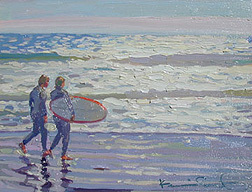 He and his family are members of the San Onofre Surfing Club.